Stanley’s brigade approaches the southern end of Kelly Field. 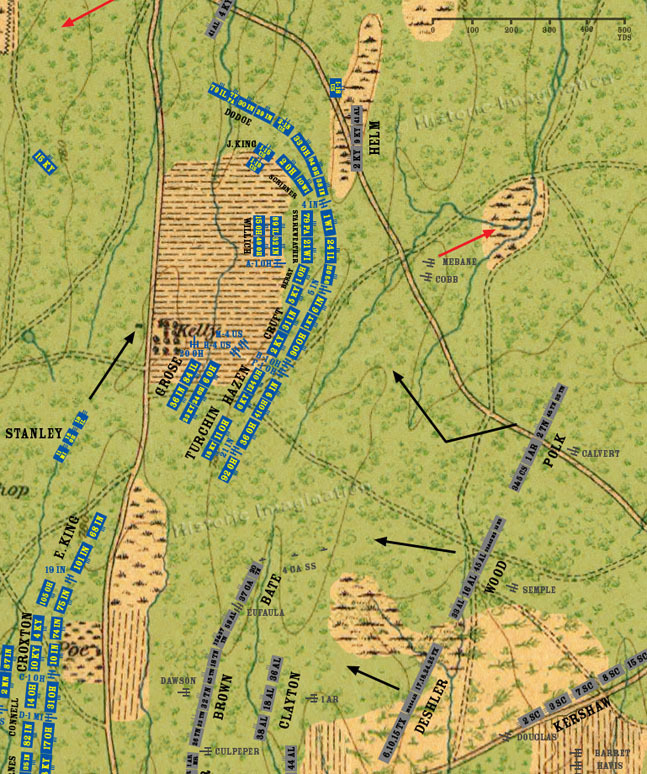 Mebane and Cobb’s batteries are met with a hail of artillery and small arms fire as soon as they reach the crest of the knoll. They are forced to retire almost immediately. Cleburne’s Division launches its attack, but things go wrong from the start. Polk’s Brigade veers sharply to the left, pushing Wood’s Brigade in the same direction. Polk corrects his course, but Wood continues to the left, opening a gap between the two brigades.